CAN I DO THE KETOGENIC DIET IF I AM PREGNANT? When talking about pregnancy the first information you receive is that any diet is forbidden. They recommend eating in a healthy and balanced way, but it is not advisable to follow a specific diet. Then, pregnancy is undoubtedly the most controversial aspect of the ketogenic diet. This situation is confusing because there are no scientific studies with which to support arguments for its recommendation. The fear of putting at risk the health, even the life, of a baby with tests on a high fat diet is a limitation for the performance of reliable studies. In contrast, many women are willing to tell their positive experience by following a ketogenic diet, even when they were pregnant. However, more and more obstetricians and gynecologists are not afraid of the ketogenic diet. The ketogenic diet is a nutritional program that consists in suppressing in a remarkable way the carbohydrates such as cereals, breads, potatoes, carrots, fruits and vegetables, while increasing the consumptions of healthy fats such as avocado, coconut oil, olive oil and egg yolk. Protein intake should be moderate and you get them from sardines and blue fish, tuna, salmon and organic meat. Our body needs the macro nutrients; the glucose obtained through carbohydrates is the main source of energy. By limiting your intake you force your body to extract that required energy from fats, not only of high-fat foods but also the fat stored in your body. This help you lose weight, clear your mind and improve physical performance without affecting your health and going hungry. The amount of macro nutrients recommended in the ketogenic diet is 75% fat, 20% protein and 5% carbohydrates; although, some variations allow up to 15% in carbohydrate intake. The goal of this diet is to ensure that your body gets into ketosis, the metabolic state in which you extract the energy of fat, thanks to the ketone bodies. How do we get into this metabolic state called ketosis? Prolonged fasting for one or several days (method not recommended, at least not for long time). With the ketogenic diet you force your body to catabolize fats to obtain the necessary energy. That is, once the glycogen stored in the liver and muscles are consumed as fuel (this in a day) the body looks for a new source, the fats accumulated in the adipose tissue. Ketones bodies are formed for this to happen. This metabolic process brings benefits to your health, including fertility. The ketogenic diet, also known as keto diet, promotes weight loss, especially in obese people, controls blood glucose, improves body energy and helps you in mental concentration. It also provides benefits in the control of cholesterol, high blood pressure and other diseases such as epilepsy, cancer, diabetes, Alzheimer’s disease and hormonal imbalances. However, there are no uniform criteria regarding the benefits of the ketogenic diet during pregnancy. For some doctors the answer is a resounding NO; for others it is advisable, since it could help to prevent pregnancy problems related to high blood sugar pressure and obesity. The ketogenic diet is highly controversial in terms of its following during pregnancy. It may be due to the presence of ketones in the woman’s urine, since they can be confused with symptoms of deadly diseases such as diabetic ketoacidosis or starvation ketosis during pregnancy. In this regard, I repeat, there are no scientific studies due to the ethical and risk implications for the mother and the child, which certify how harmful or not this form of feeding could be. However, observational studies and case studies are beginning to be carried out more frequently, and more and more doctors are doctors are interested in this program and in the possible benefits it brings to the pregnant woman and the baby. A ketogenic diet can help you if you have fertility problems. Dr. Michael Fox, fertility specialist at the Jacksonville Center for Reproductive Medicine in the United States, has 17 years of experience recommending to his patients nutritional programs based on the ketogenic diet. Dr. Fox recommended starting the program two months before conception; in this way, the hardest stage of the diet –the adaptation process-, is overcome before and for the beginning of pregnancy the woman will already be in ketosis. Likewise, he recommends not fasting; on the contrary, the pregnant woman must consume food every two hours, but high-fat foods such as nuts, butters, cauliflower, avocado, cream cheese, meat, fish and eggs. According to Dr. Michael Fox, this type of feeding reduces the rate of miscarriages, preeclampsia, gestational diabetes and morning sickness. In the same way, Dr. Robert Klitz of CNY Fertility, together with fertility clinics in New York and Florida, also recommends the ketogenic diet (a low-carb, high-fat diet) to optimize the quality of pregnancies and improve fertility. Polycystic ovary syndrome or PCOS is a hormonal imbalance in women of childbearing age that can affect the menstrual cycle, cause ovarian cysts, difficulty in getting pregnant and even other diseases such as diabetes, heart disease and metabolic syndrome. Polycystic ovary syndrome is more common in obese women and those with a family history of PCOS. While this syndrome has no cure, diet and exercise can help control symptoms. Ketogenic diet or keto diet is especially effective for the control of polycystic ovary syndrome because it helps to control insulin levels in the blood reliably and consistently. In 2005, a small study was conducted with 11 women with polycystic ovary syndrome or PCOS. These women followed a ketogenic diet for six months. Five of them completed the study. These 5 women lost weight, improved their hormonal status and showed a reduction in the amount of body hair. Two of them could get pregnant even when they had previous fertility problems. Follow a low-carb food program such as the ketogenic diet, helps reduce insulin and therefore reverts resistance to it in women with polycystic ovarian syndrome, which helps to balance the hormonal system. As a result, it allows you to ovulate regularly and have a normal menstrual cycle, while minimizing or eliminating other symptoms linked to PCOS. The first thing that should be highlighted is that pregnant women should not follow any dietary program to lose weight. It is necessary that pregnant women eat in a balanced way without excess sugar to avoid gaining weight and other complications. When following a diet of this type, remember that your body changes its main source of energy (glucose) thanks to ketone and, in addition, goes through a difficult adaptation process; therefore, your pregnancy could be affected. This stage of adaptation, which can last for days or weeks, is one of the reasons given by Dr. Michael Fox to start the ketogenic diet two to three months before getting pregnant, that is, to go through the adaptation period before gestation. Following a ketogenic diet can be safe during pregnancy if you take into account the experience of those women who have followed this diet and the opinion of the fertility doctors, gynecologists and nutritionists who recommend it. These health professionals are accustomed to dealing with patients who follow a ketogenic diet during pregnancy, and therefore coincide in pointing out the benefits of this diet during pregnancy and lactation. It is certainly very useful in cases of gestational diabetes. On the internet, there are multiple blogs that show opinions of women who continued their ketogenic food program throughout pregnancy and even during breastfeeding, and claim not to have felt discomfort; on the contrary, they point out the great benefits of this diet, which includes getting pregnant after multiple miscarriages. However, I clarify that there are no scientific studies on the subject that support these opinions, then there is a lack of knowledge about it. The best thing is that you act with prudence and moderately limit your carbohydrate intake during pregnancy and lactation. This site is owned and operated by Easy Keto Weight Loss. We are a participant in the Amazon Services LLC Associates Program, an affiliate advertising program designed to provide a means for sites to earn advertising fees by advertising and linking to Amazon.com. 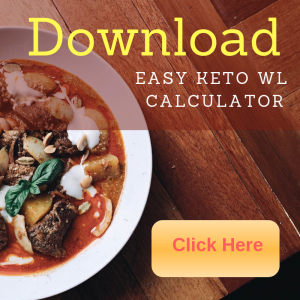 Easy Keto Weight Loss also participates in affiliate programs with Clickbank, Google, MaxBounty, and other sites. 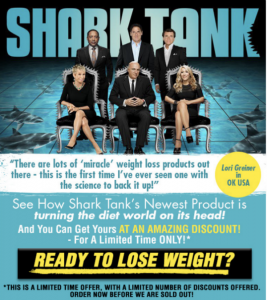 Easy Keto Weight Loss is compensated for referring traffic and business to these companies.